June's been a great month. Here's compiling all my favourites from this month. I had gone for trekking with my best friend and his family to Lohagad. It was the first time I was meeting them or going on trek with them. Absolutely loved the day! I had taken up one assignment for my best friend due to which I got two more offers. I accepted one of them and already finished the task. I'm just waiting for the photos and the video to come out. It's fun to be a stylist. Have I told you guys that I absolutely love makeup? I might not love to apply as much as I love to buy, but nothing can change my love for makeup. Recently, I shopped makeup worth Rs.2,000 and I'm in heaven. I got a chance to see my childhood favourite footballer Zinedine Zidane. Not just that, I also gave an opportunity to my brothers to see him. It was one hell of an evening. I had't disclosed this, but I have shopped worth Rs.5,000 from ebay.it. As my dad is in Italy right now, I shopped from here, and the delivery address is of his residence in Italy. I have shopped around five skirts, five cuffs, two necklaces, few tops, and two watches. I'm so excited, you guys have no idea. But, but! I'm gonna receive only five to six items right now as my dad will be returning in the first week of July. His Indian colleagues will collect the remaining items and courier to us once they fly back to India. I had announced that I am a columnist for a magazine namely Know Your Town. My column got published and seeing my article and photo in the magazine made me ecstatic! I'm terribly happy. 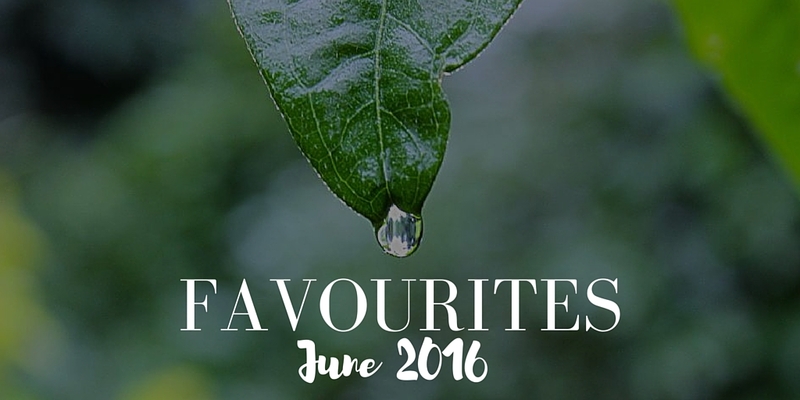 What are your June 2016 favourites?